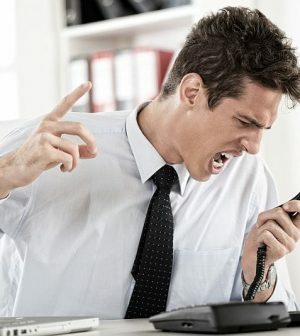 Home > Mental Health > Rude Coworkers, Stricter Moms? Women who experience rudeness and other incivilities at work are likely to be stricter with their own kids, a new study claims. Canadian researchers conducted an online survey of 146 working mothers and their spouses. The mothers were asked about incivility at work and how effective they felt as parents, and their spouses were asked about the mothers’ parenting behaviors. “These findings reveal some previously undocumented ways that women, in particular, suffer as a result of workplace aggression,” said study co-author Angela Dionisi. She’s an assistant professor of management at the university’s Sprott School of Business. “In uncovering how this mistreatment in the workplace interferes with positive mother-child interactions, this research also speaks to a previously unacknowledged group of indirect incivility victims, namely children,” Dionisi said. The researchers defined authoritarian parents as those having high expectations of their children, with rules that they expect their children to follow unconditionally. The parents also tend to have many regulations and micromanage their children’s lives, valuing discipline over fun, study co-author Kathryne Dupre said. “This style of parenting has been associated with a variety of negative child outcomes, including associating obedience and success with love, exhibiting aggressive behavior outside the home, being fearful or overly shy around others, having difficulty in social situations due to a lack of social competence, suffering from depression and anxiety, and struggling with self-control,” Dupre said in a meeting news release.